Aslı Narin’s first solo exhibition Spin is about the artist, having set out on the road with no purpose of destination, searching for what is constant in nature and within herself. At points where she pauses along her path, Narin captures distinct moments as photographs and videos. In these monochromatic, almost abstract images, the essence of matter momentarily appears to become visible; nature and the body reveal their secrets. The movement of the path, of light and of water remind the viewer of the impossibility of remaining in a single spot, and the inevitability of returning to a point of origin. The sound production of the video installation titled “Tours” in the exhibition was carried out by Emre Malikler. 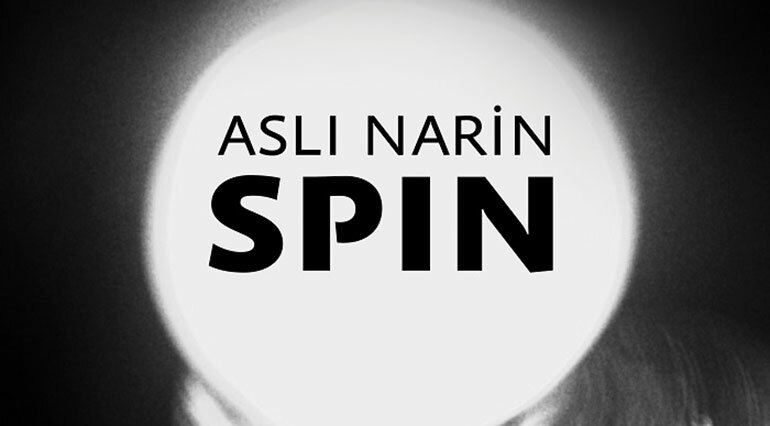 Elif Gül Tirben is the guest curator at Kasa Gallery for Aslı Narin's first solo exhibition Spin. Exhibition dates: January 24 – February 22, 2014. Address: Kasa Galeri Bankalar Cad. No: 2, Karaköy, Istanbul. Opening event: January 24, at 18.00. Aslı Narin was born in 1985, and she graduated from the Department of Visual Arts and Visual Communication Design at Sabancı University. She completed her master’s degree in the same field at Goldsmiths College, University of London. For the last two years she has been teaching at the Department of Graphic Design of the Faculty of Art and Design at Kadir Has University. Narin continues to work on her PhD at the Proficiency in Art Program of Yıldız Technical University.